Easy control and high maneuverability provides the ideal introduction to stunt flight. The definitive GP stunt trainer! Enjoy the captivating echo of the engine across the sky as the CALMATO shows its amazing GP stunt performance. For anyone who has dreamed of flying, the CALMATO ST GP 1400 makes it easy to master the challenge of low-wing stunt flight. Easy-to-fly control combines with the CALMATO’s signature stability and dynamic maneuverability to deliver the ideal step up from sports models and performance to please even expert-level fliers. The mild taper ratio of the main wing, its moment and area ratio settings deliver controlled maneuverability realizing dynamic flight in response to large control inputs. This produces the unique characteristics of a stunt plane as it traces a line as if on a string, unlike an acrobatic airplane. Winglets (laminar flow boards) on the wing tips are standard and maintain optimal posture on the knife-edge. Install the optional canalizer (No.11852-14) for even greater stunt flight performance. The ARF kit requires only a few additional items to get airborne and includes engine mount, tires and spinner.  KYOSHO's unique design requires no gluing for completion and is pre-covered in film. For top-level stunt flight performance, the CALMATO ST GP 1400 also flies within close range of all budgets.